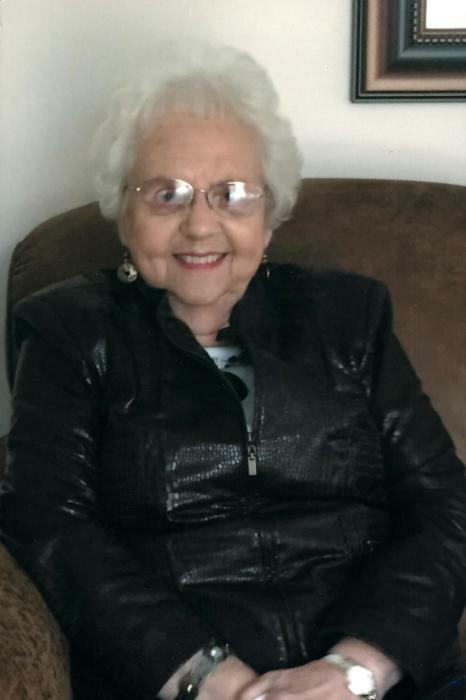 Obituary for Ruth (Grubb) Rihl | Wellman Funeral Homes, Inc.
Ruth E. (Grubb) Rihl, 86, lifelong resident of Circleville, Ohio passed away Saturday the 30th of March at her home. Born January 1, 1933 in Circleville, Ohio to John and Annabell Grubb. Graduate of Circleville High School Class of 1951. She was a member of Trinity Lutheran Church of Circleville, Ohio, a former teachers aide for Circleville City Schools and a partime receptionist for Dr. Robert Phillips D.D.S. Ruth enjoyed spending time with her family and friends, traveling and dining out. She is survived by her loving husband, Carl L. “Abe” Rihl, daughters Lissa (Wayne) Norris of Circleville, Cindy (Randy) Dresbach of Hillsboro, Carla (John) Stevens of Westerville, grandchildren, Natalie Graham, Megan (Todd) May, Chad (Caitlin Quinn) Dresbach. Stephanie (Doug) Couch, great grandchildren Andrew Couch and Kyleigh Dresbach. Funeral services will be held on Wednesday, April 3, 2019 at 3:00 p.m. at the Wellman Funeral Home with Pastor Alan Schultz officiating. Burial will follow in Forest Cemetery. Friends may call at the funeral home on Wednesday from 1-3 p.m. Memorial contributions are suggested to Berger Hospice, American Cancer Society or Trinity Lutheran Church. Online condolences can be made to www.wellmanfuneralhomes.com.